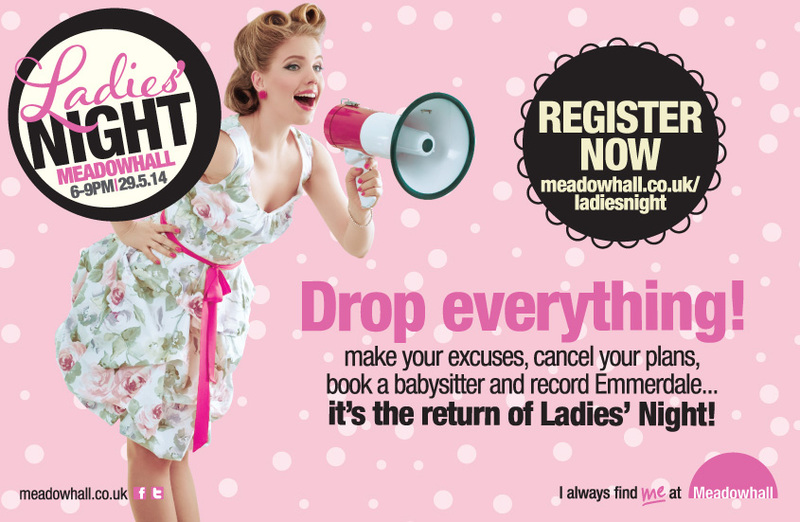 This is just a quick post to let you know that on the 29th May between 6pm and 9pm Meadowhall in Sheffield is having a ladies night. Myself and some of the other Meadowhall blogging ambassadors will be there as well as Fearne McCann from TOWIE (who is launching her own fashion range) and Capital FM's JoJo. There'll be discounts, master classes, pampering freebies and giveaways, including a Cinderella style 'If the shoe fits' giveaway and even the chance to win any shopping you do on the night. All you have to do is register on Meadowhall's Facebook page (here) to get your pass out voucher which you'll need to show to redeem any discounts.